Blackhaven is a military outpost on the edge of The Crossroads county, situated in the Stormlands duchy, under the rule of Vornair. Controlled by House Forster, Blackhaven has outlasted numerous monarchs over hundreds of years, holding many secrets in its walls, haunted by the nightly screams of the underworld of past battles, its walls never breached and its gates never fallen. Built by the ancestors of House Forster, Blackhaven was built to withstand not just raids or skirmishes, but large oncoming armies of Vornairs enemies, withstanding the mightiest of wars. A key strategic barony, located on the coast, it also offers protection for trading routes land and sea, a big enough harbour to host the biggest of ships, Blackhaven will act as a secure loading and unloading base for trading vessels and resupplying military vessels, offering shelter in its large protected harbour, not just from evil that surrounds us, but from mother nature herself. 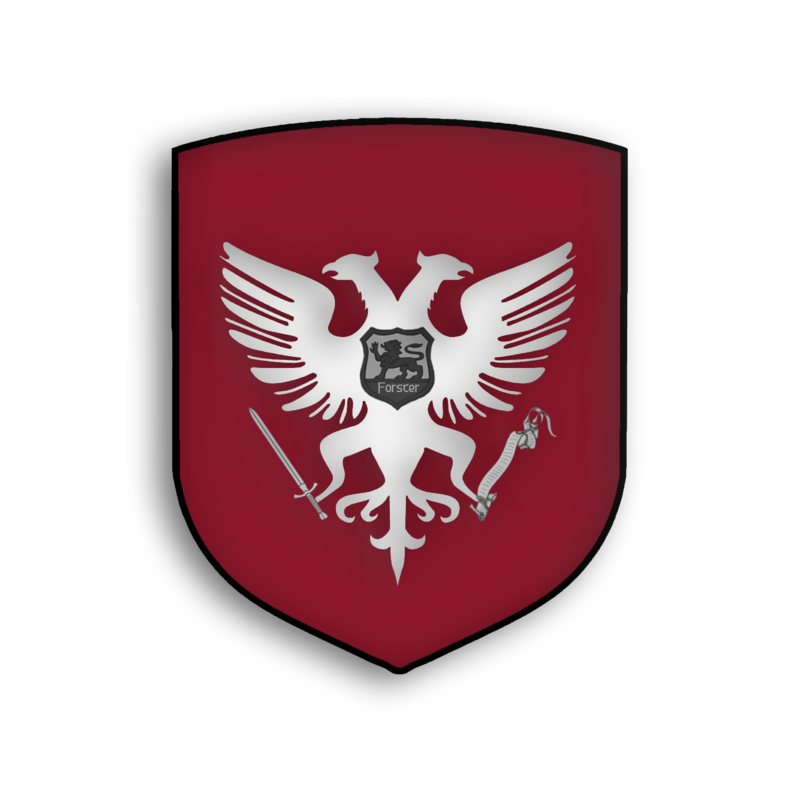 House Forster is a proud military house, every generation has experienced the cold steel and the warm blood of the enemies of the state. 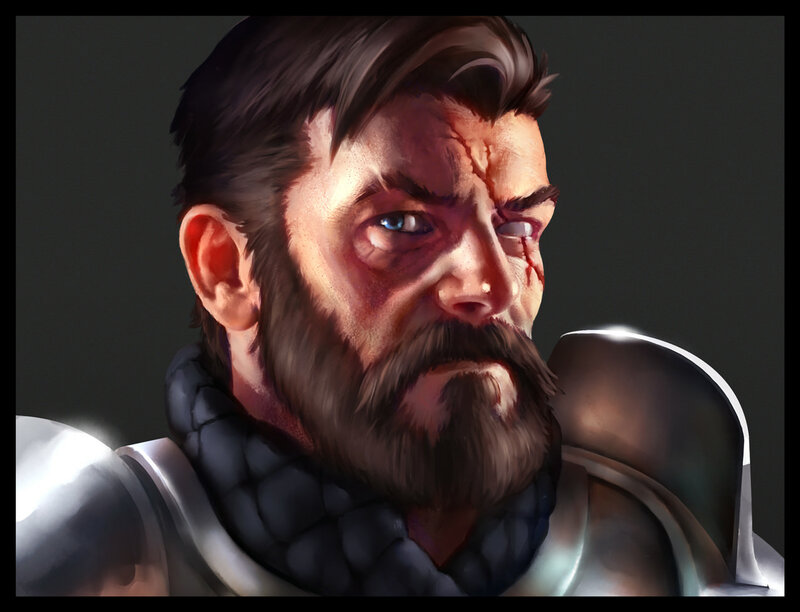 Told in tales from the past, House Forster started off in an unusual way compared to other Houses, Foot soldier Sigurd Forster was the first head of the house, starting off as a simple soldier, but soon becoming one of the most feared Barons within the Kingdom. He made his name on the battlefield, earning a reputable name by dealing swift and rapid blows to our enemies in a fashion which was unheard of at the time, this allowed Sigurd to be climb the ranks of the Stormland's military branch within Vornair, due to his promotions, Sigurd was made a Aristocrat and given the Blackhaven barony to keep a watchful eye over. Fast forward 230 years, House Forster is now run by one of the most promising barons within the kingdom, Ciarán Forster. Single child, Ciarán had to mix with the local kids for entertainment, this was an advantage to to him, learning the way of the street kids, learning how to overcome hardship from his friends and most of all, learning how to have a heart for the people. This created an intelligent, humble and confident man, a man who supports his people and his people support him, this allowed Ciarán to fight side by side with not just his soldiers, but his so called brothers! 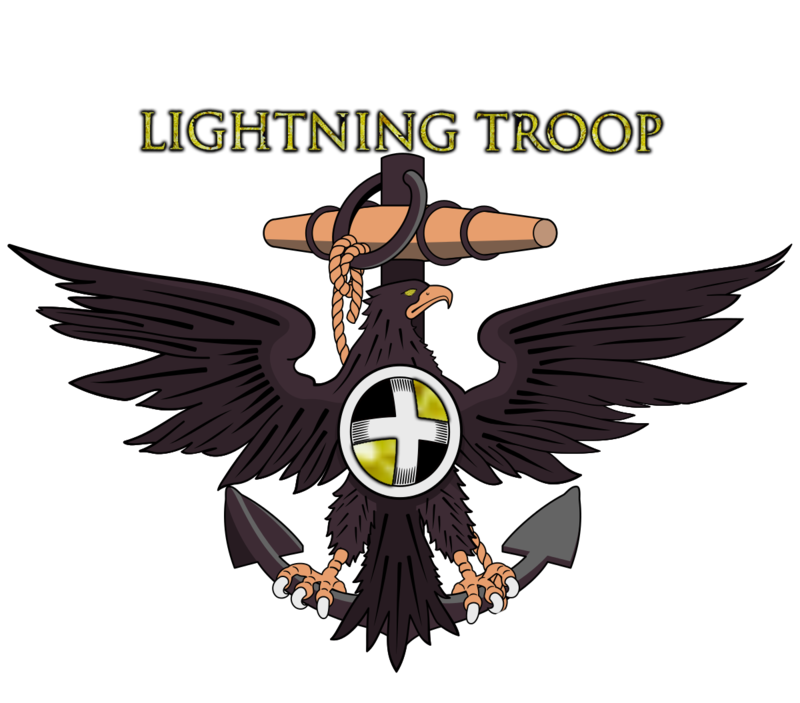 Lightning Troop is a fast paced coastal marine force that delivers its blow via land sea and erm....catapult? Blackhaven's main and only PvP organisation, its main task is to to hit the enemy where it hurts, supply caravans, trading vessels, behind enemy lines etc. Lightning by name and lightning by nature, we focus on getting our objectives complete in such a way that its unheard of in Elyria, a force which can strike the enemy without giving them time to counter the attack, a force which is in and out within a matter of minutes. Coming under The Stormlands jurisdiction, Lightning Troop is not a private organisation, but a military unit within The Stormlands main army, getting its orders from the chain of command. We don't fight for money, we fight for glory, we fight for freedom, we fight for whats right and protecting those that can't protect themselves. Champions of the storm, we are Lightning Troop. Ciarán Forster is my name, based in the UK (Yorkshire, England). My main interests are history and taking a keen interest and the military, including past, present and the future, the Baron title suits this perfectly for me and will focus purely on the military side of things in CoE, having saved up for a counts package, I decided to put the money in to EP instead, giving myself more EP then most counts allows me to create a super barony, one that can be a force to be reckoned with. Being on GMT time in NA won't be a problem for me, I have made friendships in NA that will last a life time and I focus on building more friendships while I'm here. I have vast experience in leading groups/communities in games such as Age of Conan, SWTOR, WoW, DayZ and many more. My recent experience is being a Patriot, Co-Head of the W-Anchors guild (Kingdom of Tryggr's navy), recruitment and head of social media within the Kingdom of Tryggr in the Selene server (EU).